Our newest boat "Another Reward" is 70 feet long by 22 feet wide. We can fish parties up to 50 anglers, although on our normal half day trips we fish 10-15. 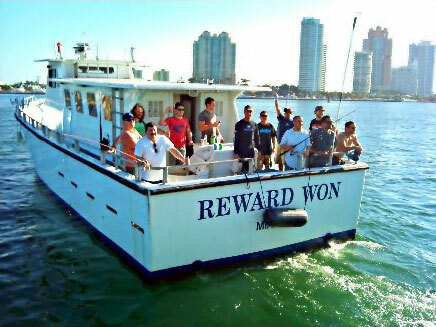 "Another Reward" is air conditioned, has a galley, T.V., stereo, and is equipped with all of the latest fish finding and directional electronics. She is the nicest, cleanest, and newest party boat in Miami Beach and South Beach, and is available 3 times a day for regular scheduled trips as well as corporate or group charters custom designed to the client's wishes. 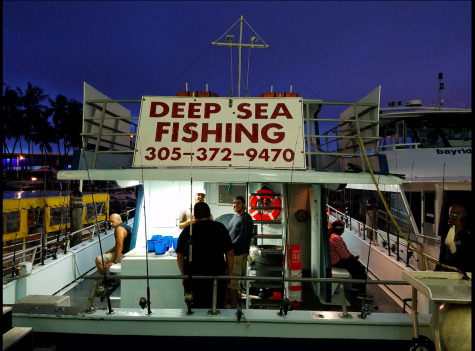 The Reward Fishing Fleet is operated by Captain Wayne Conn. A Miami native who grew up on the waters of South Florida and started his fishing career working fishing boats in Miami's famous charter fleets at Pier 5 and the Haulover. An accomplished tournament angler and winner, as well as Captain, he has carried this skill over to party boat fishing. Captains Chris Neiderman and Ryan Ormston add their own personal touches to make the Reward crew one of the very best! It is easy to fish the Reward Fleet and enjoy angling in the blue waters of the Gulf Stream. You can catch fish you have dreamed of for a very low price that includes rod, reel, bait, and tackle. And for only a little more, you can fish a second half day on the same day!!! Our charter rates and group rates are available on request, as well as our catering list. If you have a group coming to Miami, Miami Beach or South Beach, let us entertain them with a CUSTOM CHARTER on one of our vessels. We also act as booking agents for many charter boats, skiff guides, flats guides and back country guides. Give us a call with what you are looking for and we will get it done for you. We can also arrange sightseeing. We are the only blue water sightseeing vessel for up to 103 passengers in South Florida. 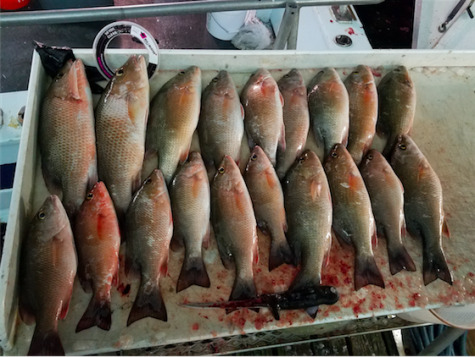 As you are browsing around the web, think about us the next time you are looking for an exciting day of fishing. Come on down to Miami and Miami Beach, where the waters are clear and the air is warm. First Time Spot Turns Into A Gold Mine! Bullbuster In Action: Live Lining Bait With 40 Lb Fluorocarbon. Bullbuster Mono - Why Should You Use Brand Direct Bullbuster For Your Every Day Rods. 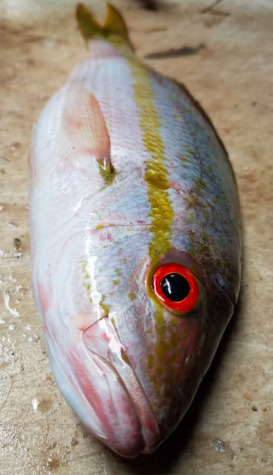 When The Bite Pops Off Like Champagne Bottles. 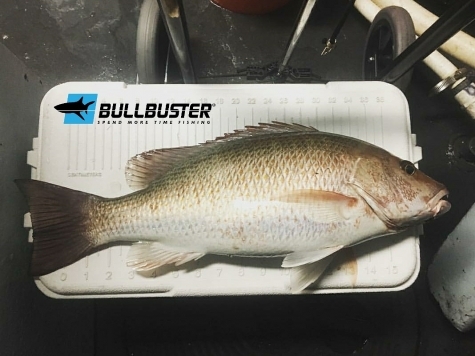 Bullbuster Mono Gets The Fish In The Boat When Sharks Are Feeding.